Do You Think You’re Too Old For Orthodontics? Think Again! Do you think orthodontics are only for children or teens? Think again! Now, more than ever, adults are seeking orthodontic treatment for a variety of reasons. Some people want to improve their smiles or correct their bites, other people are seeking to improve their health or to boost their self-esteem. Today, well over a million Americans over the age of 18 wear braces, according to the Academy of General Dentistry. Every day adults are getting braces or Invisalign, even celebrities. Country music singer Faith Hill wore braces to the Grammy Awards in 2013, when she was 45 years old. And when he was 40 years old, Tom Cruise wore ceramic brackets to improve his teeth. In our suburban offices, about 25 percent of our patients are adults. But in our downtown Minneapolis skyway location, 100 percent of our patients are adults, which means you won’t have to worry about being the only adult in our office getting work done on your teeth. Another unique feature of our downtown Minneapolis office is that it is an Invisalign-only adult practice, which was only the third of its kind in the nation, the other two being in Miami and Detroit. So maybe you’ve been thinking about getting braces, but you haven’t yet made the decision to improve your smile. Don’t put it off! Here are five great reasons why adults should get braces. Keep reading, and find out if braces are right for you as an adult. 1. Adults should get orthodontics because every smile is important. Your smile is one of the first things people notice. When you smile, you can have a positive impact on the people around you. But if you’re afraid to smile or you try to cover your teeth when you grin, you won’t have the same effect. Maybe you’ve always had crooked teeth, but you weren’t able to get orthodontics when you were younger. Or maybe they’ve just recently started to get crooked. Maybe you have serious jaw pain or are having trouble cleaning your teeth properly. Many people say their crooked or unattractive teeth are holding them back from living life to the fullest. Your oral health can impact your ability to get a job and can have a direct impact on your social life. Why not explore orthodontics and fix your mouth now, especially since the advent of Invisalign and the lesser need to wear braces? The results will amaze you, and you’ll no longer feel self-conscious about your teeth in the future. And, with Invisalign and the state-of-the-art Element ITero scanner, we can literally show you your end results before you even get started, by using a simulator. 2. Adults should consider orthodontics because teeth can move at any age, even if they are healthy. Teeth can shift at any age. Maybe due to an injury, a health condition, or simply natural growth. Perhaps you had straight teeth in the past, but are now facing a crooked and overcrowded smile. Even if you had braces in the past, you may need them again. Why? Some people have mouths that change naturally. Other people neglect to wear their retainers as much as they should. Orthodontists now tell people to wear retainers much longer than they recommended in previous decades. Some people even need to wear one for life. 3. Adults should get orthodontics because today, orthodontic options are better, cheaper, and less noticeable. Braces have evolved over the years. Today, wearing braces is less painful and requires less time. Almost all our adult braces patients are happy they made the commitment to correct their teeth. No longer do you need to suffer the embarrassment of being a metal mouth. The brackets used today are smaller and bands that wrap around the tooth are no longer used. Ceramic braces are popular with adults due to their cosmetic appeal because they are made of a translucent (clear) material. Another great advancement for teeth that is popular with adults is Invisalign. We are a Top 1% Provider of Invisalign, one of only three in the state of Minnesota. These clear, removable, plastic aligners are worn over the teeth and use no metal or wires. When you are custom-fitted for Invisalign, you’ll have no food restrictions, and you’ll be able to brush and floss like you normally would. And as an orthodontic specialist, we are able to get clear, consistent results using Invisalign and/or braces as this is all we do. Maybe your parents couldn’t afford braces when you were growing up, but now you can. 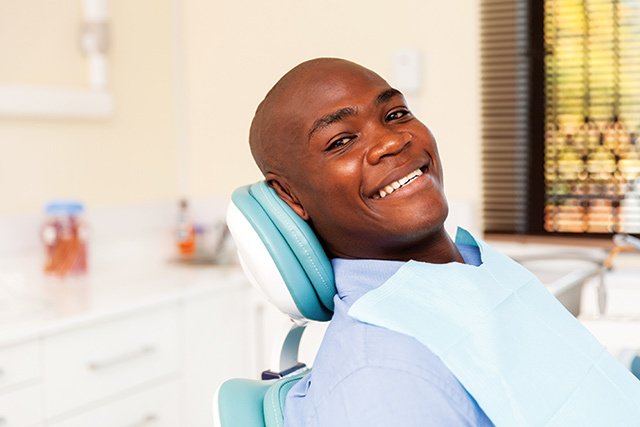 Many medical and dental insurance plans cover part of the cost. Or maybe you make enough money to save and pay for orthodontics out of pocket. Our orthodontic office offers many financing options to accommodate your needs, and we would be happy to go over these with you. We can also review your insurance policy and help you maximize your benefit and file your claims. 4. Adults should get orthodontics to avoid serious problems with their teeth and mouth. Research has shown that the frequency of misalignment in adults is comparable to the frequency in children and teens. When you have a crossbite or misaligned teeth, you have an increased chance of plaque and food buildup between your teeth. This means you may get periodontal disease or gum disease. You can also possibly avoid tooth decay, gum and bone loss, irregular wear of the tooth enamel, and TMJ/TMD pain (or chronic facial discomfort). Also, if you’re thinking about getting dental implants, the rest of your teeth will need to be straight first, so you’ll want to get orthodontics before you can consider that treatment option. 5. Adults should consider orthodontics because people are living longer. People are living longer, and many people are keeping their teeth for life, so it makes sense to pay the price to straighten crooked or crowded teeth. Even older adults are getting braces. According to the American Association of Orthodontists, more and more people who are in their 60s, 70s, and 80s are using braces. Are you ready to smile a lot more? What’s holding you back from getting braces as an adult? If you have difficulty biting, chewing, or speaking, or you have teeth that are crowded or protruding, why haven’t you decided to explore orthodontics yet? Are you concerned about the pain? Improvements in technology make the process of getting braces much more gentle and pain is no longer an issue. Adults often do a better job caring for their orthodontic appliances and following the advice of their orthodontist, which means their results can be more impressive than those of a child or teen. If you are ready to take steps to improve your smile, Veil Orthodontics would love to help you, no referral required. Contact Veil Orthodontics today to set up your free consultation and see what braces option is right for you as an adult. It’s never too late to have a smile you love! Call 952-903-9484 or go to www.veilorthodontics.com. One Response to Do You Think You’re Too Old For Orthodontics? Think Again! The American Association of Orthodontists (AAO) agrees with Dr. Veil, who is an orthodontist and AAO member. Healthy teeth can be moved at any age. One in four orthodontic patients today is an adult!